Sega Central "Come and have a go if you think you're hard enough"
Sega Europe are to launch a new web series which will go behind the scenes at Sega as well as give news about upcoming events, games and DLC. Behind the scenes tours of Sega Europe. News on upcoming Sega games. Currently only the announcement video is up and there's no indications as to how regular these things will be. You missed "unenthusiastic presenter" from the features list. Ooh ooh are we gonna see all the hot news from all 2 of their upcoming games? There's a lot of mobile games under development at HardLight here in England! Does that excite you? I bet it does! In all seriousness, this is interesting and I'll at least watch the first few episodes to see if it's any good. It could turn out some nice tidbits here and there. You mean Sonic Boom and Alien: Isolation? If this is a way for them to coverage and advertise their upcoming games, news, behind the scenes, interviews, etc then that's pretty cool especially since E3 is just a few weeks away so this is just perfect. So how are they gonna decide who is a dedicated fan? Guy says "I'm a big fan!" About time MegaMan characters started getting hired again. So basically it's their equivalent of a Nintendo Direct. Wonder how long they'll keep this up? There's no way this will be a weekly thing, unless some videos are literally just 'here's some stuff, lets give it away.' Even some of the footage in that announcement was from a brand licensing event, which I've not seen before, those things are only every few months. Indeed. I'm guessing this was more of an announcement of their announcement strategy; they'll probably send out news updates through this instead of solely the blog now. Not expecting it to show up more than a few times a year. EDIT: In fact, I would guess further and suggest that that's how it'll dole out news -- should be a good event news roundup -- but the shows will come more regularly than that. There'll probably be 'lesser' episodes where they pay lip service to focus on the fans, maybe giving one or two a chance to play a demo or something. In terms of big fans, do my competitive gamer friends count? Can I assume that the "swag" being offered is only available for residents of Europe? No idea, the official Sega blog is open to anyone worldwide. As long as there's interest and staff for it, I presume. Let us remember that Sega Europe blows at least a few tens of thousands each year on a free event for the sake of community. This would be a drop in the bucket by comparison, so funding shouldn't be an issue. This could be a lot of fun! I'm looking forward to it. ...that's really about all I can say though. Fingers crossed Hogfather can pop on in 70's trousers. Let's Plays? Not that I care, never been a fan of those things, but I thought SEGA was pretty Hellbent on their destruction. Or at least that's what I heard. I know Nintendo is. Nintendo actually just announced an affiliate program for YouTube videos of their products, Let's Plays among them, to help make sure the video uploader gets a cut. I have no clue what was going on with SOJ a while back with the Shining Force fiasco but that aside they don't really seem to mind either way on things, especially not now. I'm happy for all of it, personally. Hopefully this will cut down on random content claims in the future. Well, that's good. Don't really care about those videos, like I said, but that was silly for a company to do. Besides, they help move their product. Unless it's a crap product. Oh hey great! 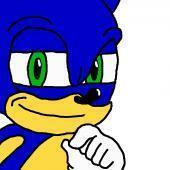 We'll at least see more of Sonic Boom and Alien: Isolation. Yes, a whopping 2 GAMES! And a whole bunch of lame mobile games. Meh, I'll keep an eye on this but I don't think I'll be super invested. The pilot episode is out. Episode 2 will be released at the end of June and Sonic is going to be the lead feature. Um, okay. Well that was a bit... Forgettable? Not bad or anything, but not really particularly good either. The presenters are kind of wooden though. Especially Katy. I wasn't enthralled. Still, early days. I'll be surprised if future episodes aren't a lot better. The presenters are a bit.... wooden? They just don't sound excited or interested at all in the games... even the people that they're interviewing about alien just sound bored. Will & Craig = Amazing! Something about Indi developers.... some of the games looked great, though 3 seconds on each really wasn't enough, wanted to see more of that procedural truck game, and the earth manipulator thing. Football Manager... again the presenter sounds bored.... Ok here's a problem... put what format that game is on, had she not been holding the Vita nobody would know. Right... that.. wasn't very good. I wish it wasn't but it has a bunch of problems. 1: The presenters sound bored and don't sound like they care about the games. When talking about the games, when interviewing, when doing voice overs, they sound bored and it makes the games sound boring. They made Alien Isolation sound boring! How do you do that. 2: Will & Craig are the best double act since the last best double act. 3: There's big problems with the audio, often I can't hear the voice over due to how loud the music is/quiet the voice over is. 4: That background music is awful. It was just boring and uninformative. I didn't feel excited for any of the games shown, I didn't learn anything new about the games shown. No, telling me how Everton did a deal does not help me decide if I'll like a game, no telling me about random stand up guy doesn't tell me anything about the game. Why should I get this game, show me something that's going to sell the game to me. The company of heroes 2 thing, I don't own COH2, this bit did nothing to change that, why is this DLC awesome? I don't know, it never said. The indi segment was great, but I wanted to know more. Also, was it just me or was the entire video really, really saturated? Especially the pieces of stock footage (look at Sonic Boom). Not a lot of things going for this.